The risks associated with the emergence or spread of animal diseases are hardly a new topic for veterinarians. In recent years, other scientific communities, experts and policy-makers have come to consider, quite rightly, that the benefits of actions to promote animal health are not restricted to improving animal health and productivity, they are also key components of any biothreat reduction policy. Animal pathogens can be used as biological weapons or for terrorism purposes. The OIE has been involved in biothreat reduction programmes, in particular through scientific publications (for example, in 2006, with the publication of Biological disasters of animal origin) and the organisation of its first global conference in Paris, France, in June 2015, and for many years it has been helping to alert the international community to these issues. The OIE Sixth Strategic Plan (2016–2020) also highlights the determination of Member Countries to strengthen ‘relations with the international security community in areas of common interest related to the prevention, preparedness, response and recovery from the deliberate use of animal pathogens to cause harm and natural disasters’. 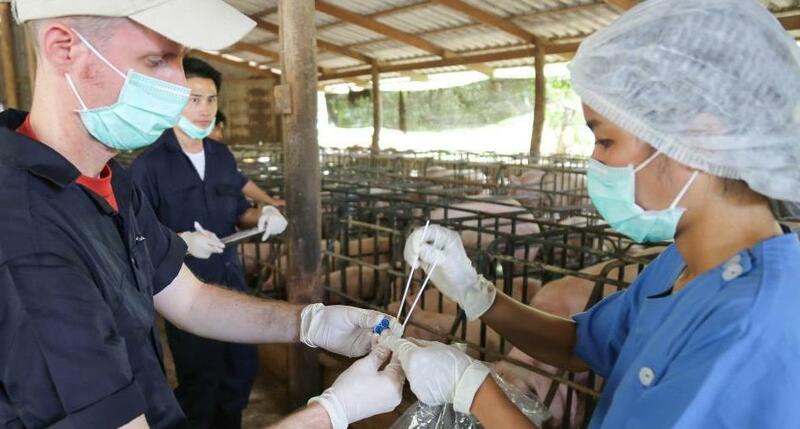 OIE teams therefore continue their efforts, with the support of our network of reference centres and partner organisations, to implement the OIE Biological Threat Reduction Strategy, based on the concept of dedicated policies, outreach activities, building competencies and capacities, and global animal health information. In November 2017, the OIE held a second conference on the subject in Ottawa (Canada), with the active support of Canada, the United Kingdom and the United States of America. The recommendations of the Paris conference (2015) were followed up and new avenues were explored in light of the latest scientific knowledge. This OIE Bulletin provides you with full information on the projects, initiatives and programmes in progress. Our warmest thanks go to those who contributed to the success of the conference and to drafting this dossier. Biothreats remain a matter of concern, but new tools enable us to reduce the level of risk. In addition, confirmation of the synergies founded on excellent intersectoral collaboration between the public health and veterinary sectors and public safety services makes us optimistic about our ability to prevent, prepare for, and respond to these threats.